If you could choose a world without loneliness, without shame, grief, misery, or feeling of any kind, would you, if it also meant that you lost the simple pleasure of a picnic on a sunny day or the joy of falling in love? Would the allure of a comfortable numbness prove too tempting to resist? Could you choose between feeling pain and not feeling anything, ever again? A girl is caught in a world where this choice is fiercely contested. 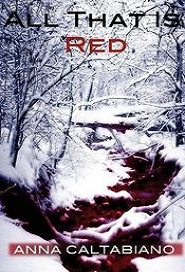 In the cross-fire between the Red and White empires, the feeling and the unfeeling, each bent on the other’s destruction, the girl must choose between emotion and oblivion, joining the ranks with the Reds as they fight to resist the Whites, but all the while struggling with her own desperate ambivalence.